The SAP Anywhere Show and Sell mobile app for iPad is a point-of-sale software that can be accessed anywhere and anytime. This customizable mobile app connects to the SAP Anywhere solution and offers retail managers a virtual product showroom, in-person checkout, inventory management, and customer management right from their iPad. SAP Anywhere Show and Sell offers substantial security starting with the SAP Anywhere solution, where business owners can control users’ access to ensure employees can only see applicable information. 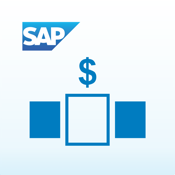 Note: To use SAP Anywhere Show and Sell with your business data, you must be a user of the SAP Anywhere solution, with mobile services enabled by your IT department. You can try out the app first using sample data.